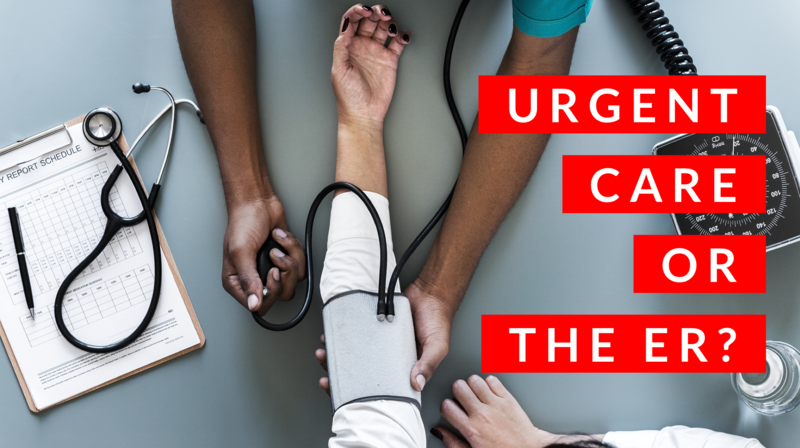 It can be difficult to know when an injury or illness requires an urgent care clinic or a trip to the emergency room. In this month’s blog, Board Certified Emergency Medicine physician Dr. Mickiewicz discusses some basic rules of thumb for when to visit each facility. respiratory distress to trauma victims to elderly victims of cardiac arrest. a payment plan, or negotiate a cash discount, but the cost will be substantial either way. an ER visit is measured in hours, not minutes. just better off being treated in the ER. Most lacerations and orthopedic injuries can be treated in the urgent care. require repair or evaluation by a specialist (such as an orthopedic or hand surgeon). pain. Honestly it can go either way. If there is time, call. another would send on the ER. It just depends on their staff and training. you to go the ER. It may be expensive/busy, but the bottom line is that if you need it, you need it.